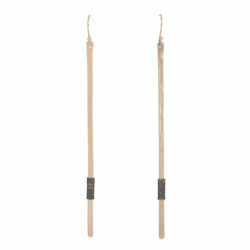 Combining two of our most favorite materials-silver and leather, in one show-stopping hoop. 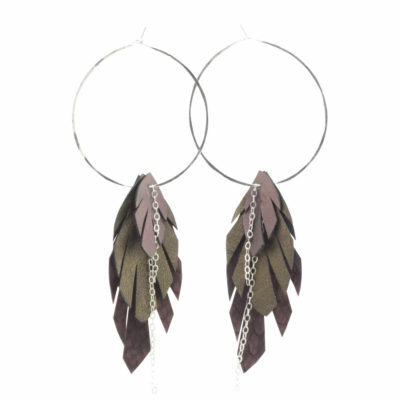 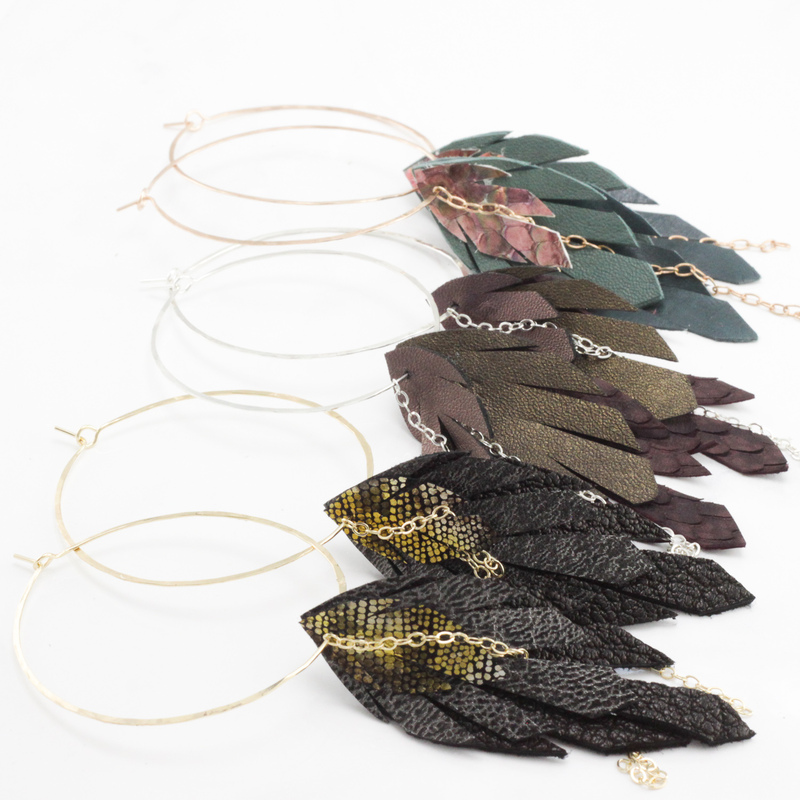 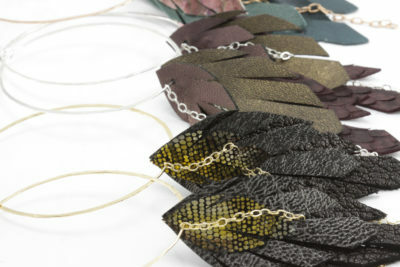 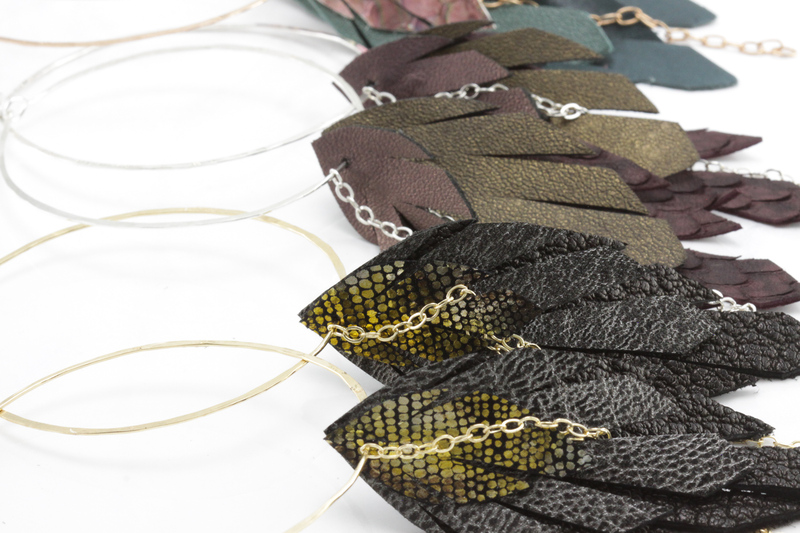 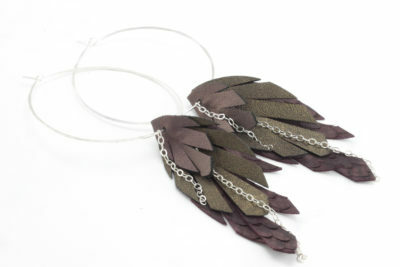 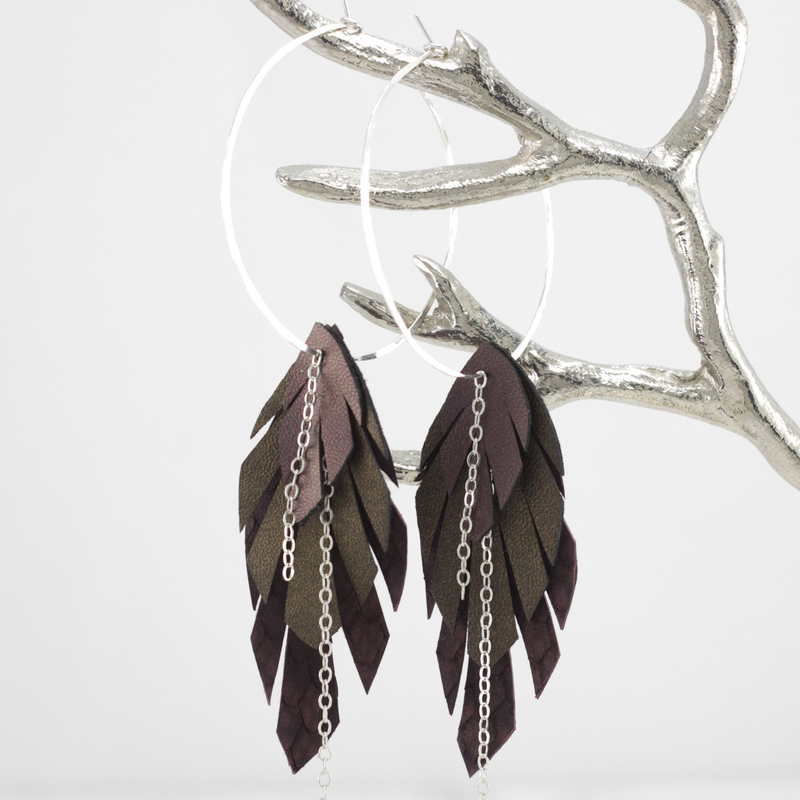 Our light as a feather Sterling Silver hoop is paired with three layers of hand cut leather, eggplant fish-scale, bronze, and iridescent purple. 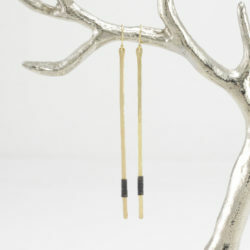 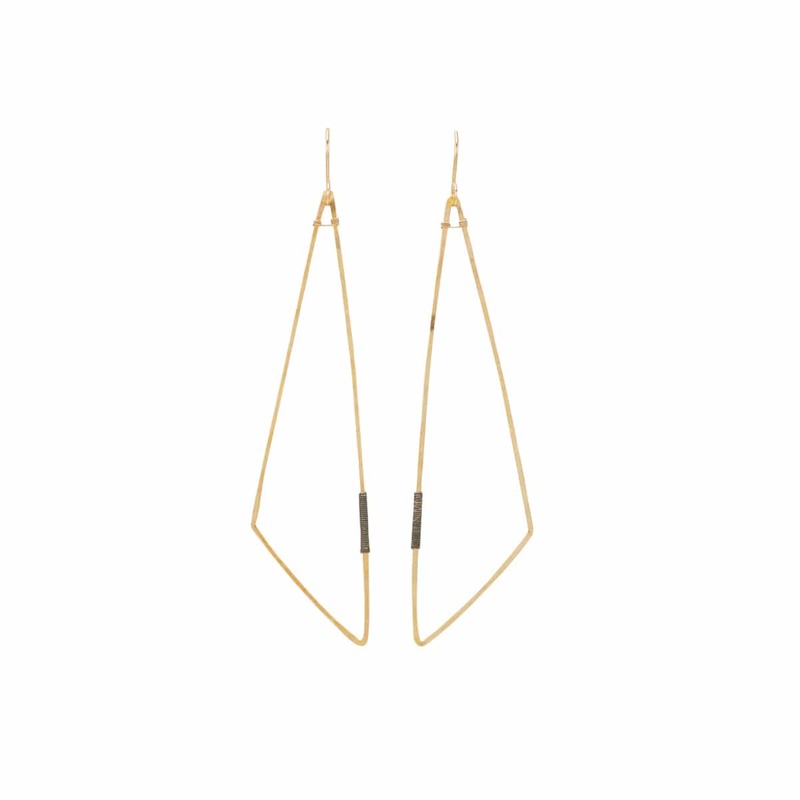 Two oxidized chains add to the excellent swing. 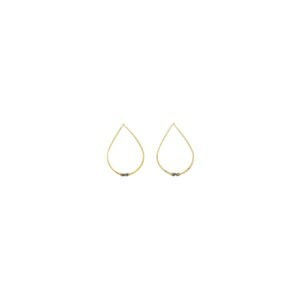 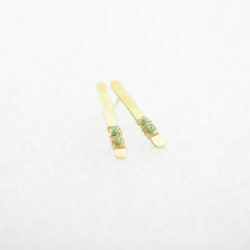 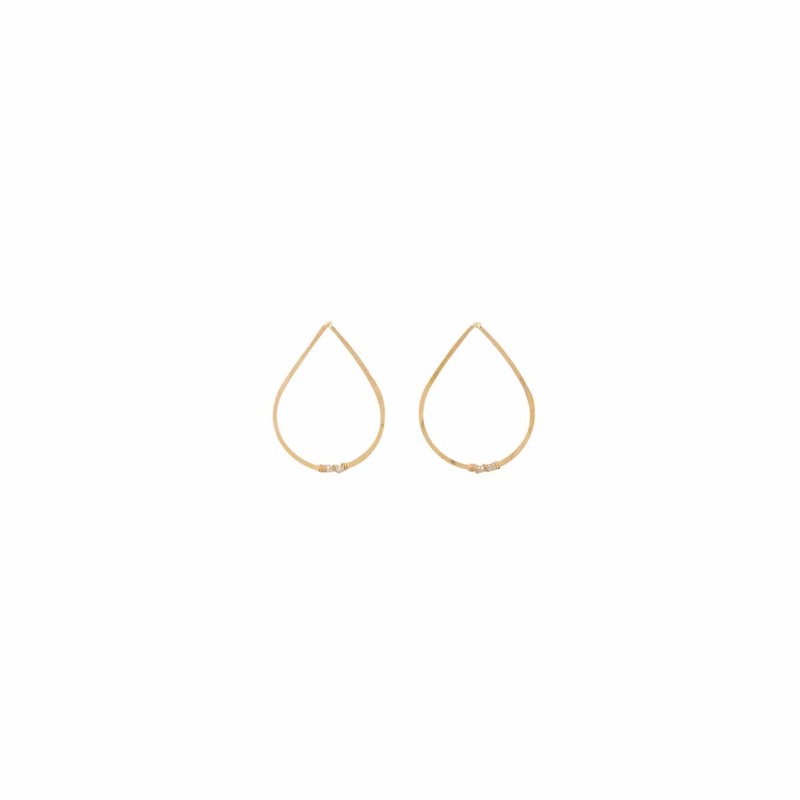 Check out our other listings for 14k yellow gold fill and 14k rose gold fill. 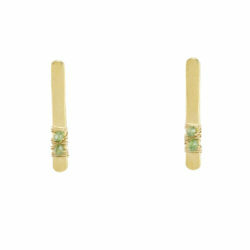 A Bohemi original. 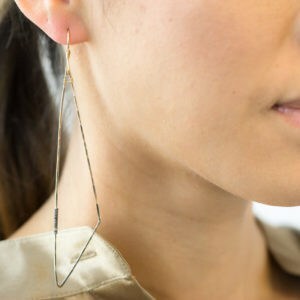 Handmade in Boulder, CO from recycled metals.